There’s a tremendous body of research, spanning the fields of anthropology, sociology, psychology, and media studies, that suggests that gossip performs a crucial societal function. Whether published or spoken, gossip sustains and interrogates values in flux or under threat: The things we can’t shut up about are the things that point to larger fissures and growing fractures in society. It has been a week since it was reported that Jesse Williams and his wife, Aryn Drake-Lee, are divorcing. We have yet to address the story here. Not because the story isn’t important but specifically because it’s that important, requiring extra time. This gossip story is the perfect example of how, as AHP noted, “gossip performs a crucial societal function… that point(s) to larger fissures and growing fractures in society”. Kathleen’s article on the breakdown of Jesse Williams will be the first post of the day. It is a post about black love, about the history of black women getting shortchanged on love by the men they’ve held up, in times when no one else would hold them up, and about why the Jesse Williams divorce gossip is actually a dialogue about the value arbitrarily and unfairly assigned to black women. We look forward to reading your thoughts. We are also looking forward to tonight. It’s the MET Gala. 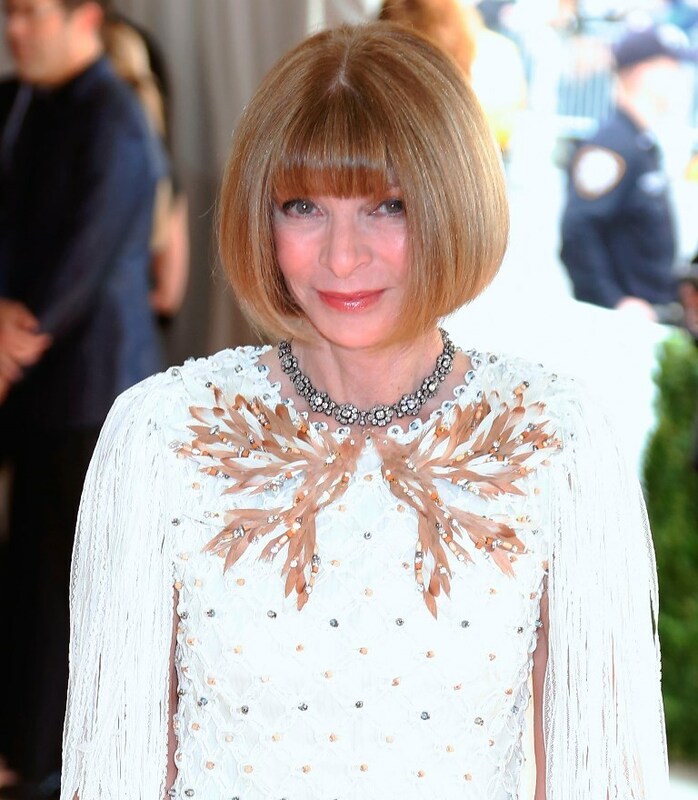 It’s Anna Wintour’s annual opportunity to make people beg for a ticket to her party. Page Six reports that this year’s event will be “more intimate and private”, with a smaller, and therefore more exclusive, guest list. Perhaps it’s because the Costume Institute’s 2017 spring exhibit features the work of famously private Rei Kawakubo and Anna wanted to respect that. But that doesn’t mean she doesn’t enjoy telling someone they’re not good enough. The Page Six article talks about how desperate some people can be to be part of the night and how Anna has used that desperation to her advantage over the years. We’ll have full coverage of the MET Gala tomorrow and we’ll be working through the night so come by early on Tuesday to start fighting with us about dresses and arguing about who best interpreted the theme. Also, Danielle Graham and I will be on etalk’s Facebook Live starting at 7pm with early commentary and analysis – join us!